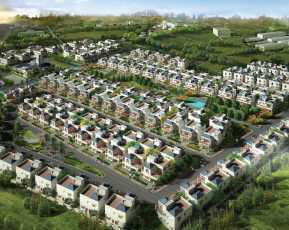 Mahindra Ashvita is an IGBC residential project that is nearing possession in Hyderabad. It is a recent endeavour by Mahindra Group which is coming up in one of the prime locations of Hyderabad. The project has a low density to ensure privacy and has a total of 9 acres of land area. There are a total of 665 residential units in such huge piece of land. The project will be ready for possession in December, 2016. 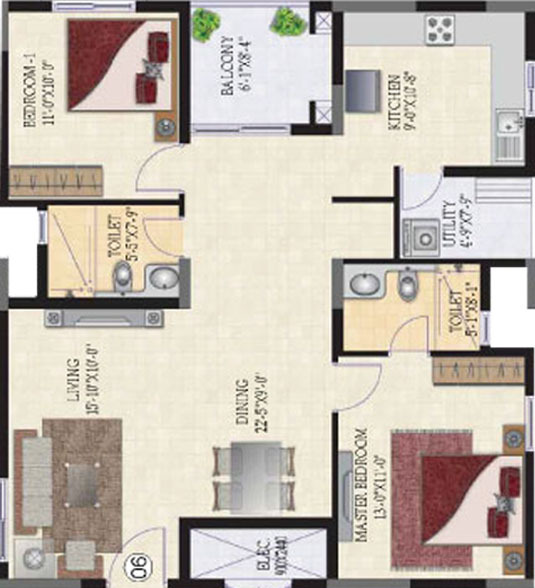 The residential units are offered in the configuration of 2, 3 and 4 BHK. The residential sizes of the houses are 1262 sq. ft. of area to 2035 sq. ft. of area. The total number of floors is available in the configuration of Ground floor + 15/16/17 floors. The houses have been made very spacious with large rooms and wide balconies. This is to ensure that residents can enjoy the leisure view of the greenery around the house and can breathe in enough fresh air while sipping in their morning teas at the balconies. There are lush green lawns to soothe the eyes of the residents and to encourage them to sit out in the open and walk around to stay fit. The amenities that are coming up with this beautiful property are a club house, a meditation centre, sports facility, kids’ play area, swimming pool, gym, food court, landscaped garden, power back up, car parking, theatre, multipurpose hall and piped gas. 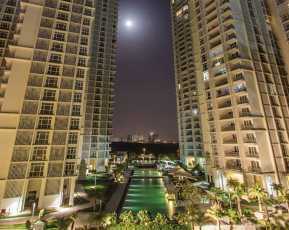 There is also a 24 hour of security provided and the residential complex is gated. The location of this place is Kukatpally, Hyderabad. 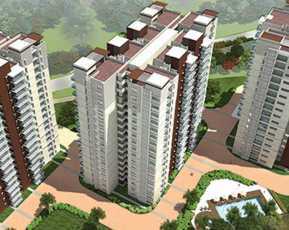 Mahindra Ashvita Kukatpally, Hyderabad is located at one of the central locations of Hyderabad. All important commercial destinations of Hyderabad are well connected from here. There is ample availability of public transport such as buses, autos and cabs to commute in all directions. The basic utilities such as schools, hospitals, institutes, local markets, shopping malls, banks, ATM’s, restaurants, hotels, pubs and bars are all well located within the reach. 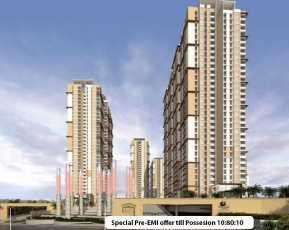 This property is highly competitively priced as compared to the market prices of property all over India. Compared to the offerings made, the deal comes very cheap. The starting price of this property is Rs. 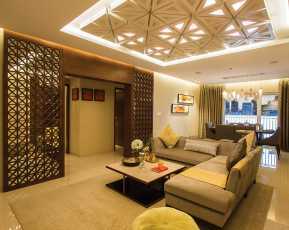 60.29 lakhs and the final price of this property is Rs. 1.00 Crore.